time to say hello again. I spent a few exiting days with Theresas agent in Singapore and left on MSC TARANTO on 06.07.2012 bound for Hong Kong, where we arrived on 13.07.2012 after a short stopover in Nanscha(China). It was very busy on board and all this training of the Cadets made us forget taking fotos, but you can believe me, it was very exiting. MSC TARANTO is one of the worlds largest containerships (14.000 TEU). There were many things to discover, but also long ways to walk. I really had a nice time there. The following days Queenie, Eric, Albert and I went to explore Hong Kong and I must admit, that this city is really worth a visit. 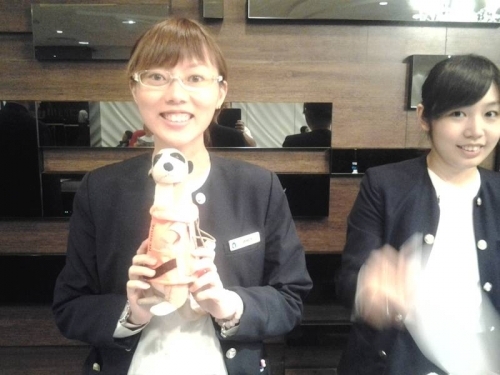 On 18.07.2012 Albert and me picked up another crewmember of SANTA BRUNELLA at the hotel. The ladies at the reception were very friendly and also a little bit exited. A few minutes later I met my greatest fans. 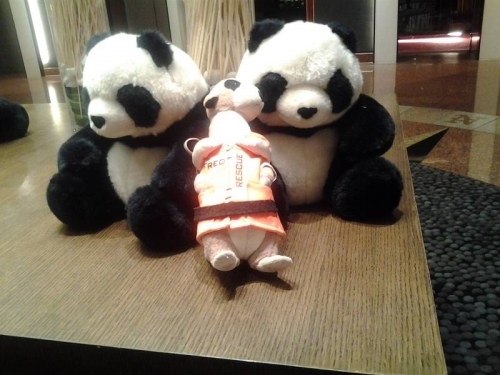 The 2 pandas (Berd and Gerd) who invited me on a tour. 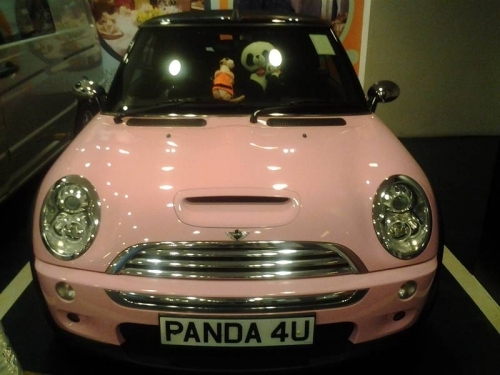 A pink Mini...? Well, not really my favorite colour..
Bevor we could get started, Albert reminded me of my next ship (I almost forgot), so we had to cancel the tour. But one day I will return. Since 19.07.2012 I am on SANTA BRUNELLA now bound for Jakarta. Soon I will report from here. So just be patient, I will soon be back.